Centrica is selling its Race Bank offshore windfarm to Dong for £50 million, after the scheme failed to get early approval for subsidies. The Department of Energy and Climate Change last month omitted Race Bank from a list of projects eligible for the early enabling contract for difference. It was a major setback for a scheme already teetering on the edge of viability. Dong takes on Race Bank, an array of up to 580MW off the Norfolk coast, after the completion of planning and front end engineering and design phases. The Danish-owned company said the site was similar to three others it is developing, all of which made it on the list for enabling contracts. 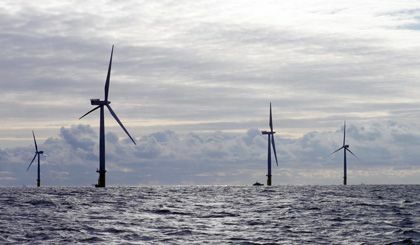 Centrica retains 50 per cent stakes in three operational offshore windfarms and one onshore windfarm in the UK, with net capacity of 290MW.